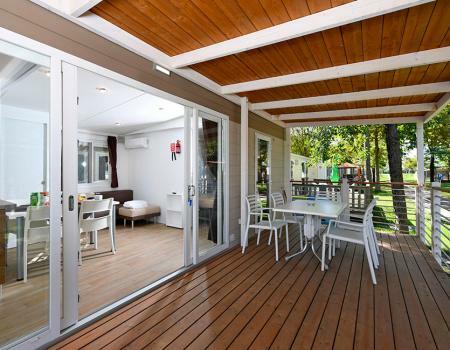 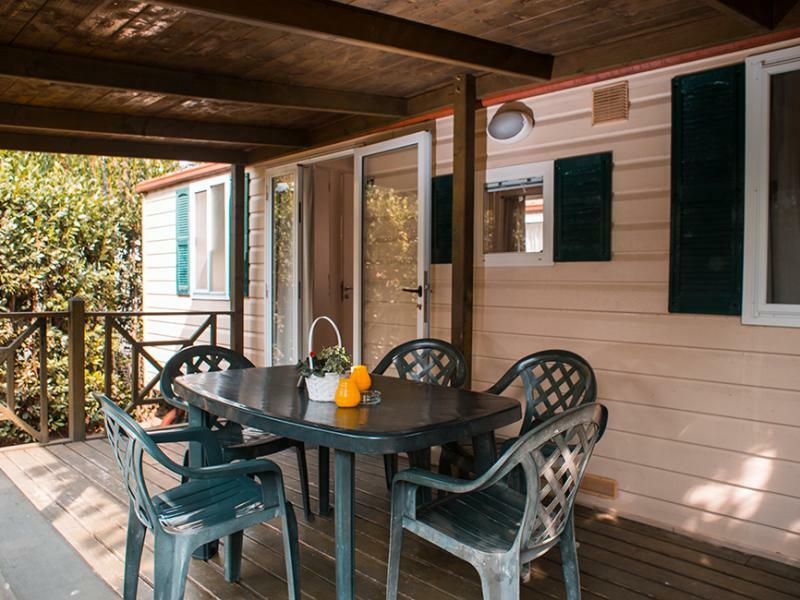 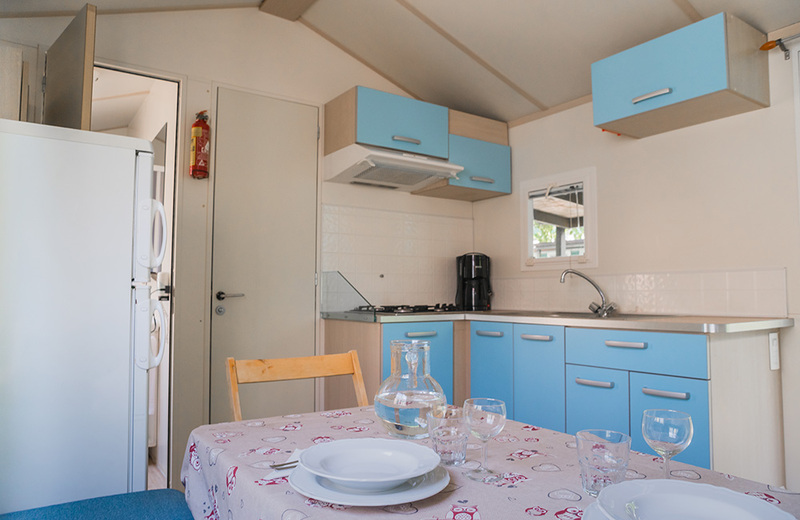 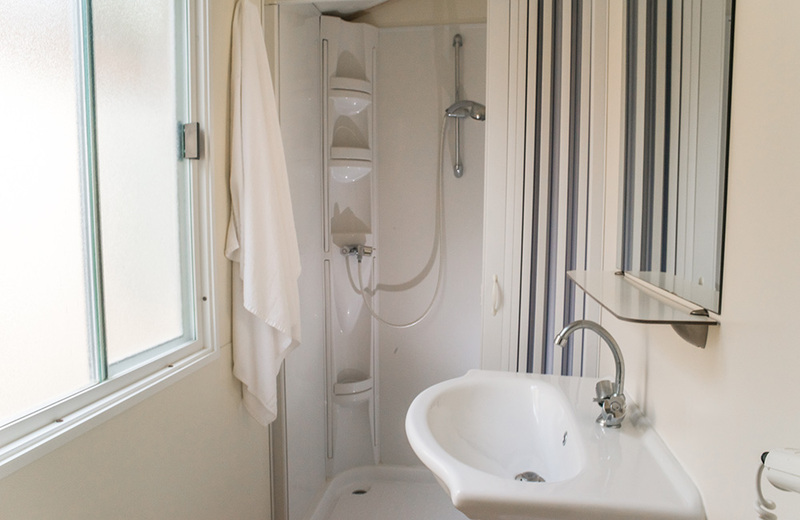 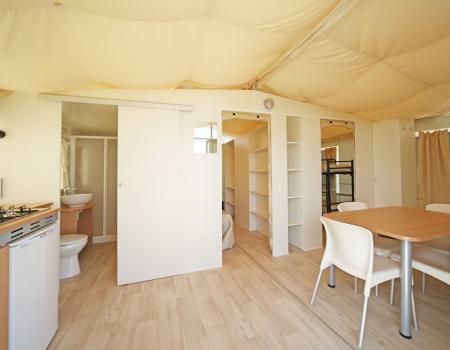 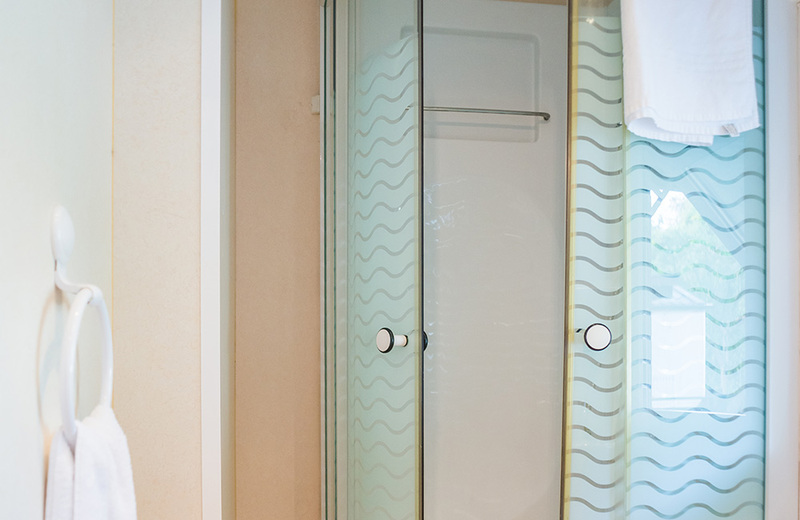 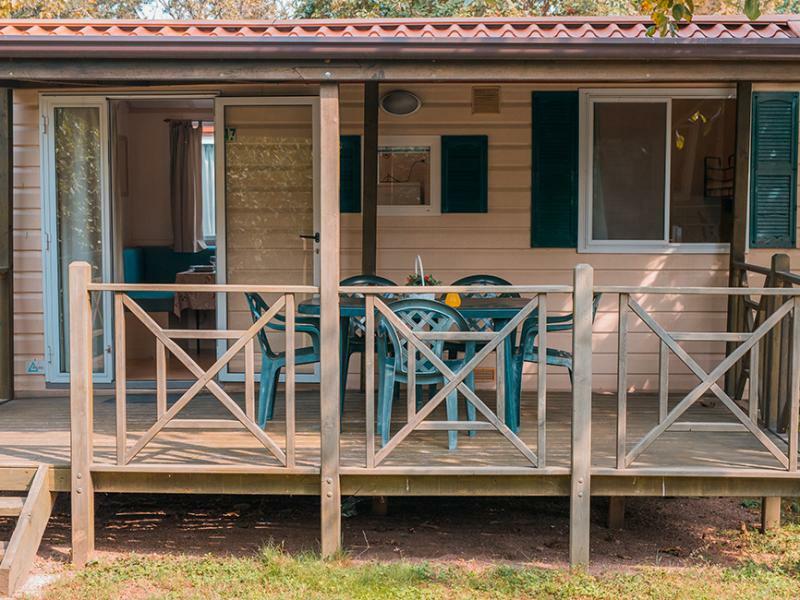 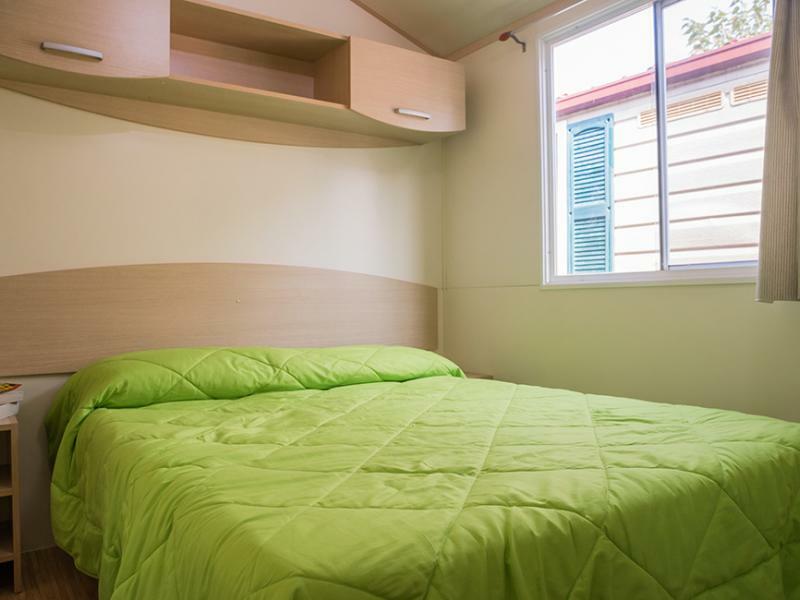 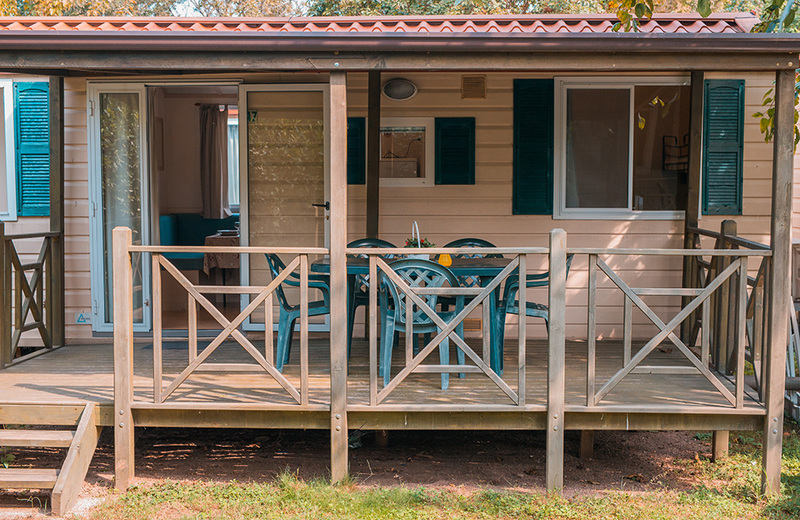 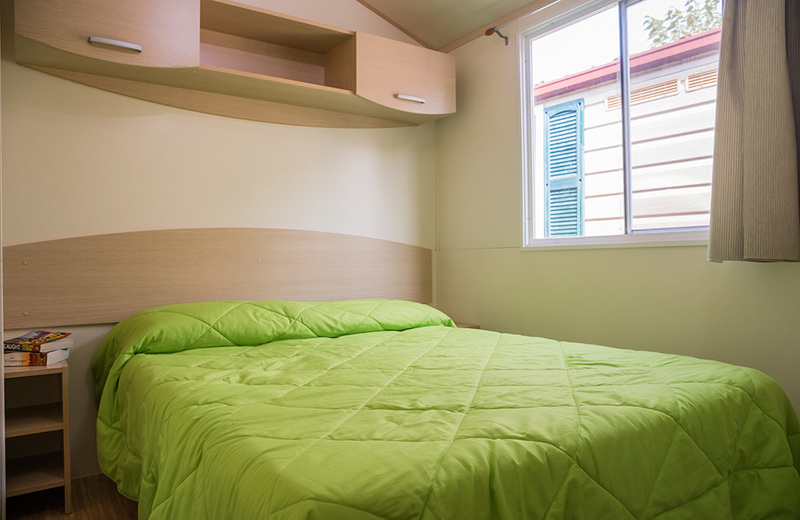 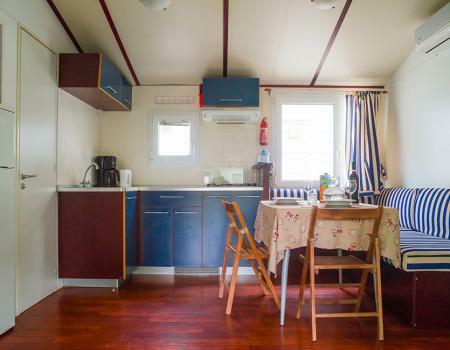 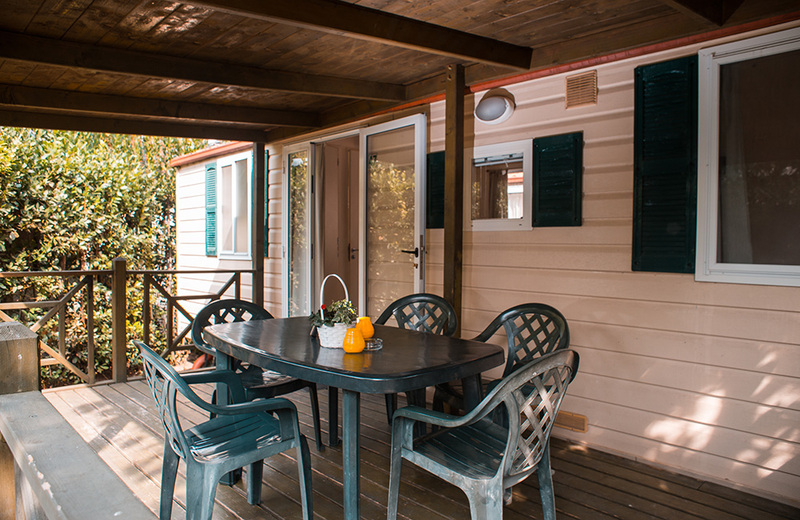 Inside area of 24 sqm with equipped covered outdoor wooden veranda, ideal for families of up to five people. 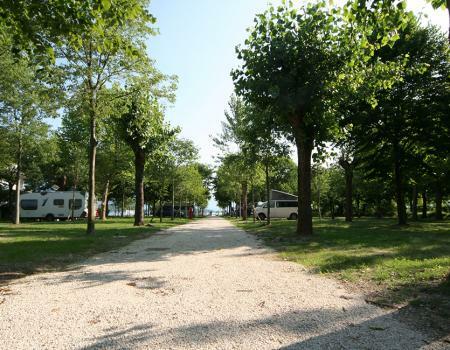 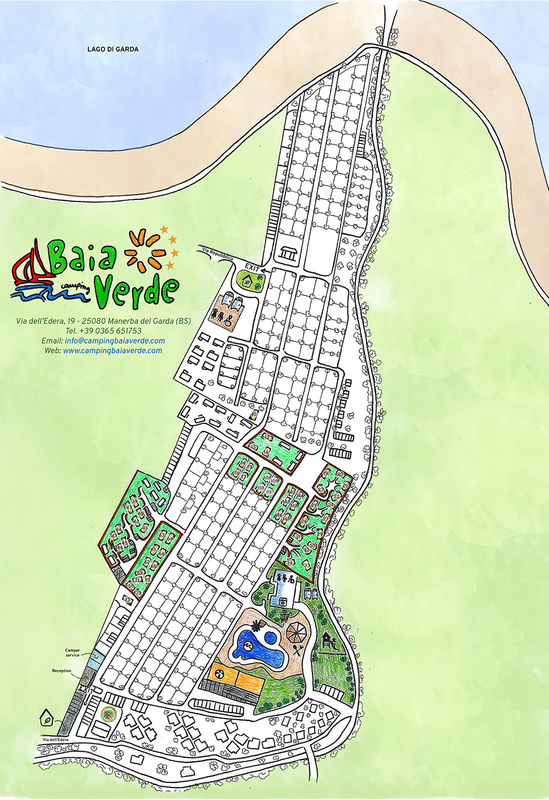 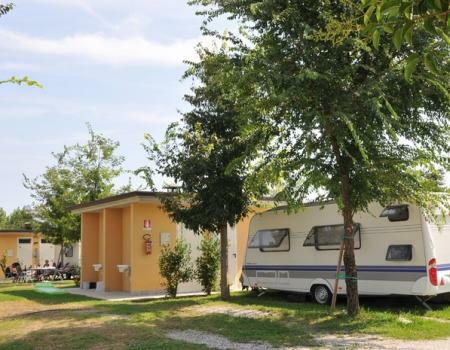 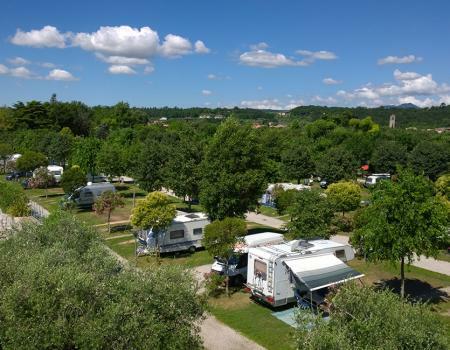 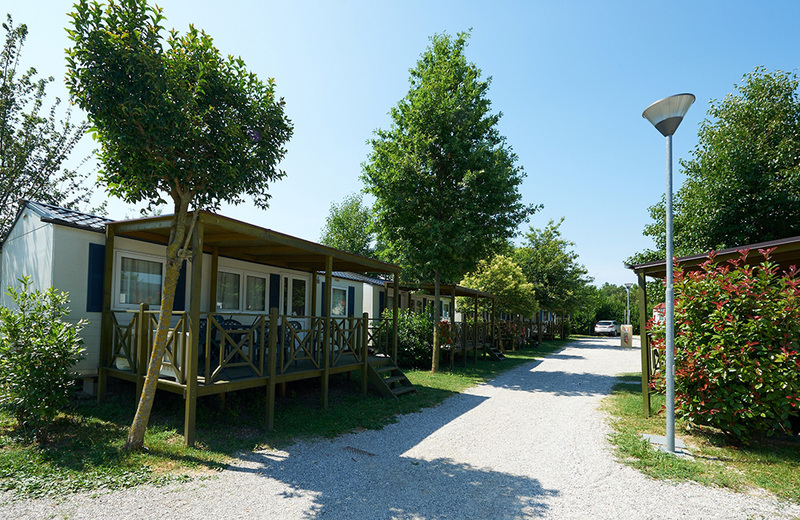 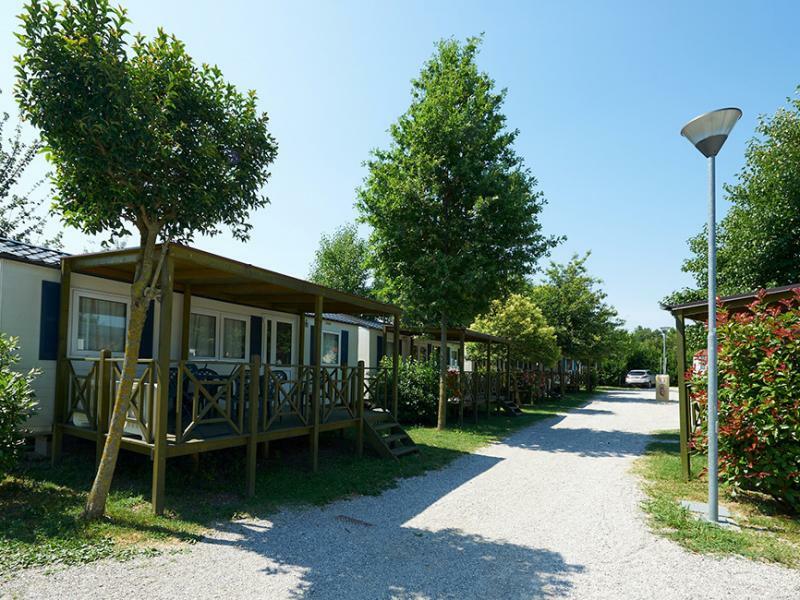 Housing solutions concentrated in small villages in various areas of the campsite rich in typical vegetation. 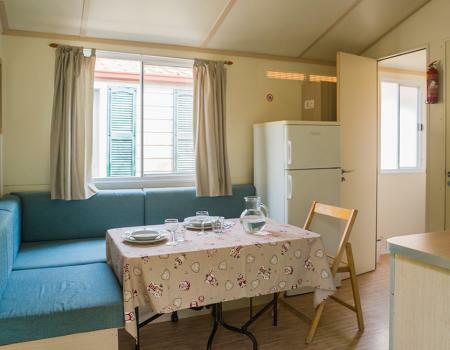 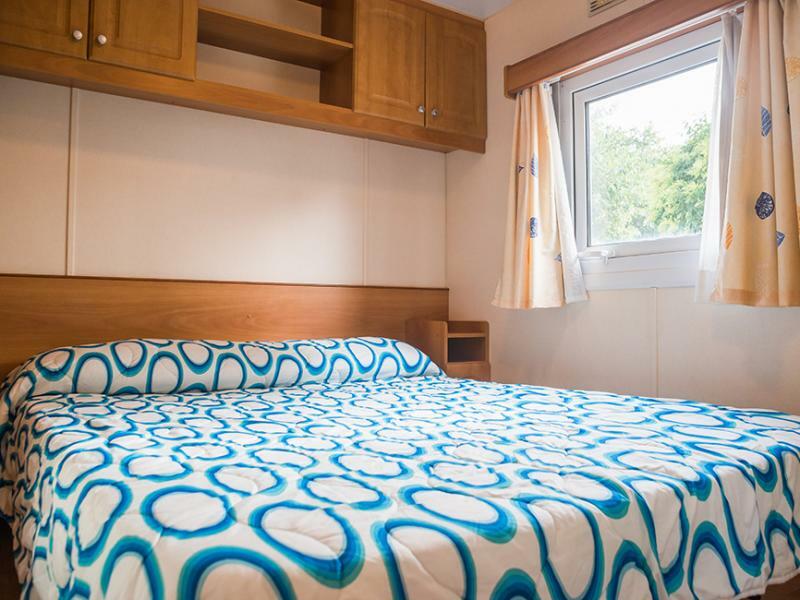 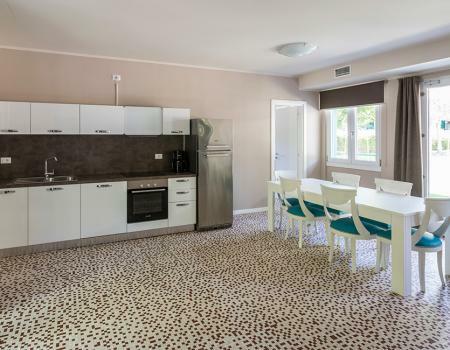 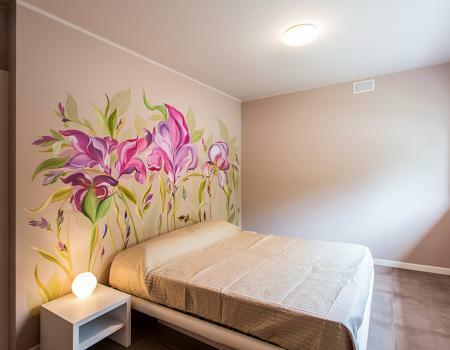 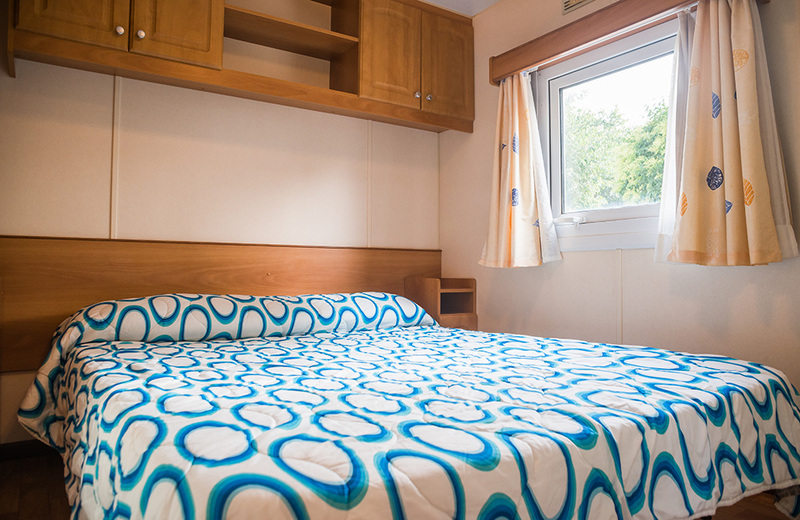 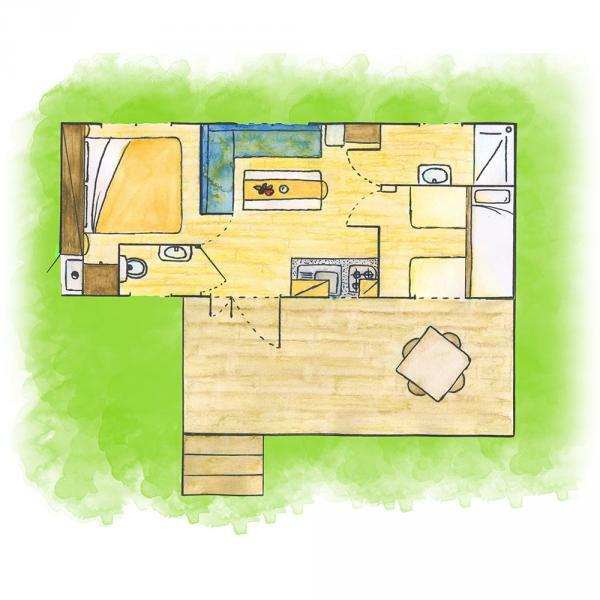 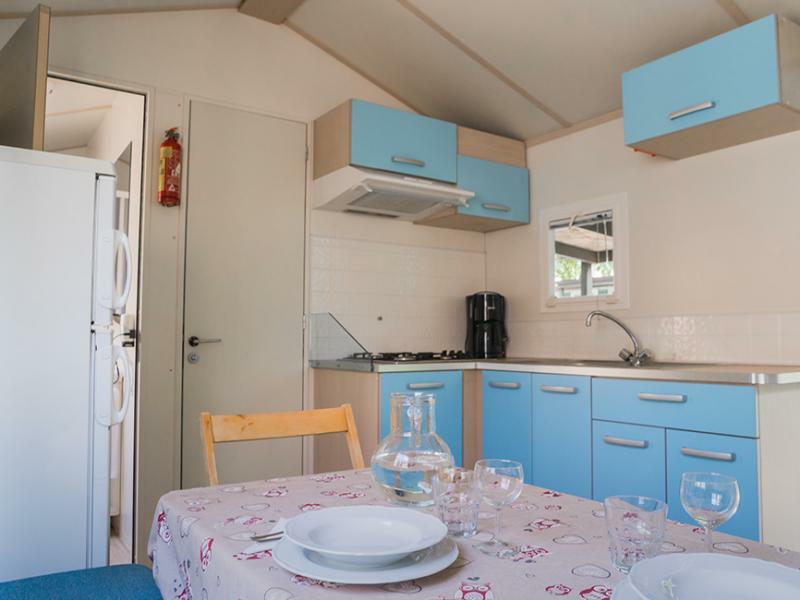 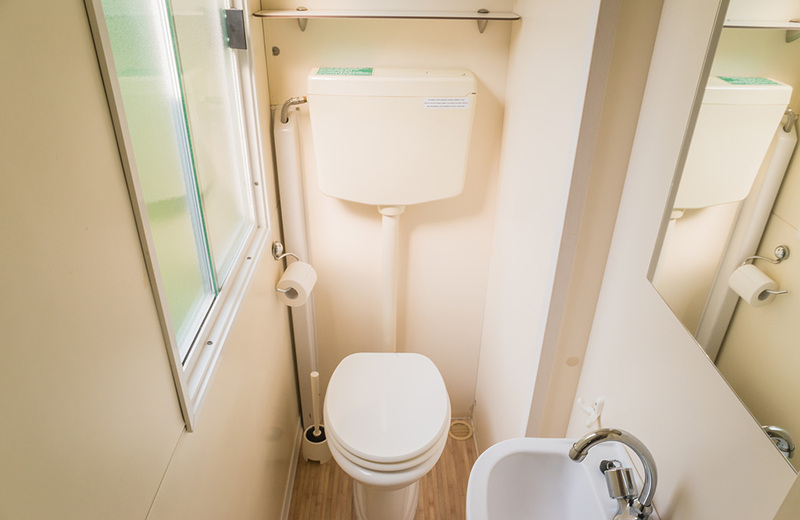 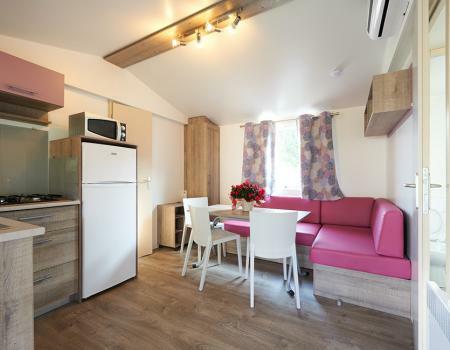 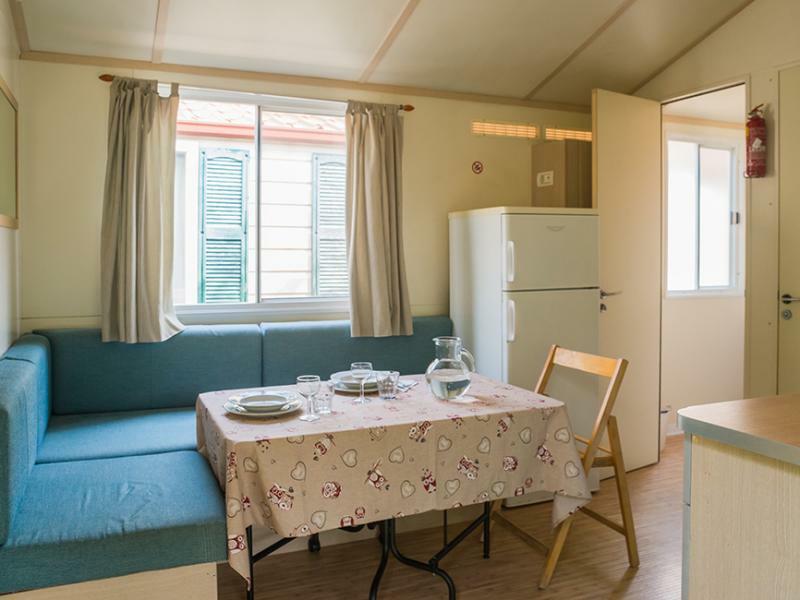 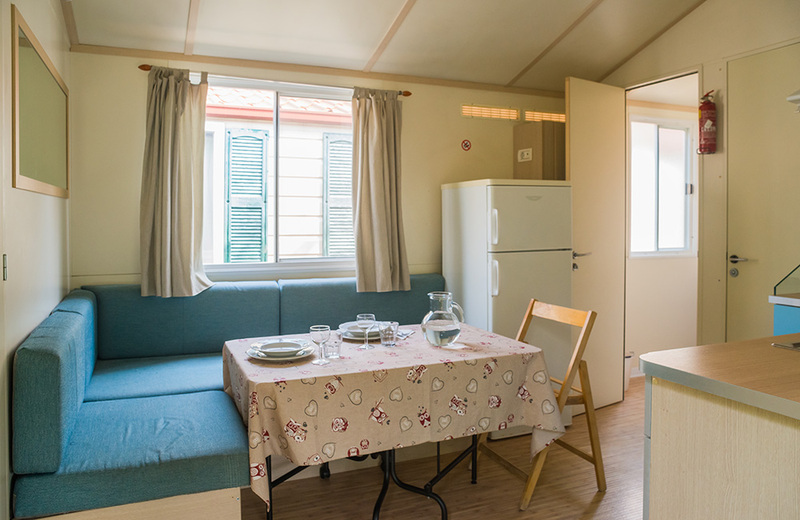 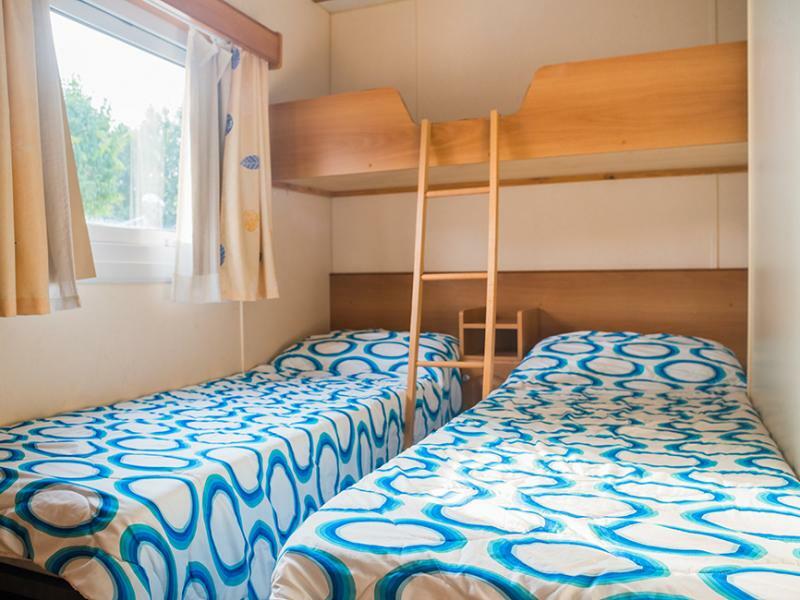 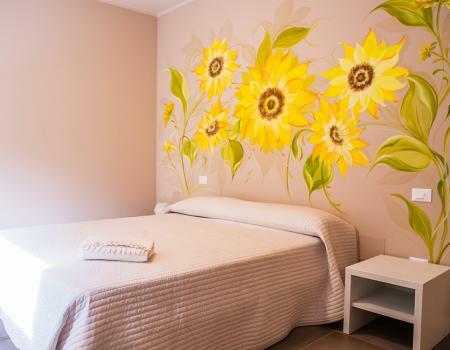 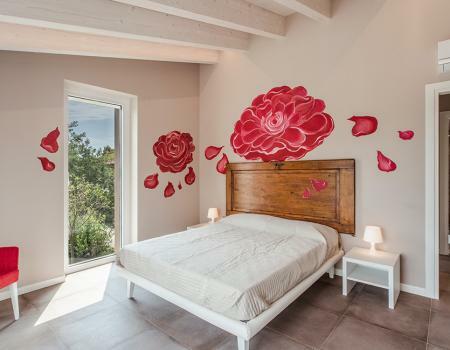 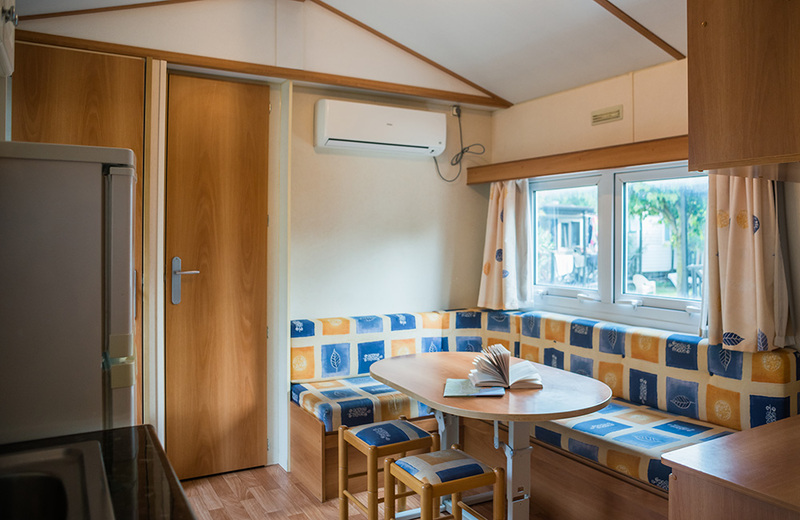 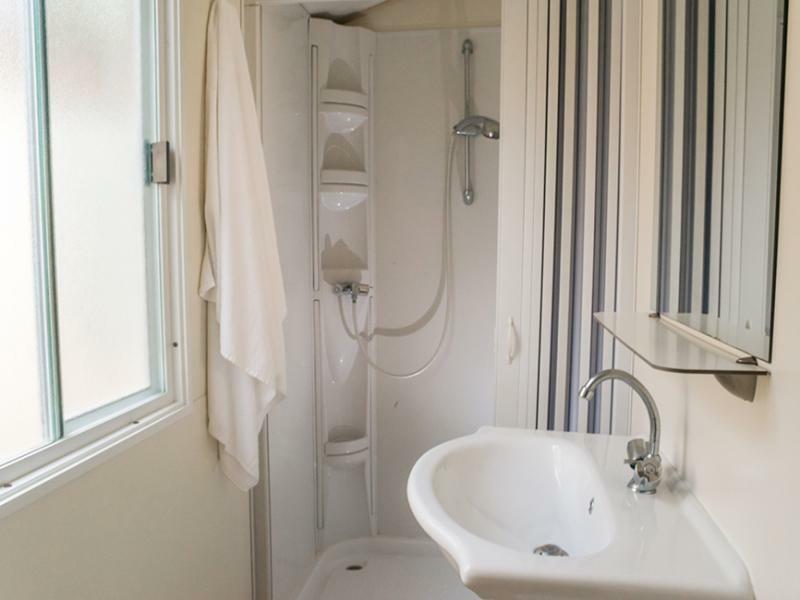 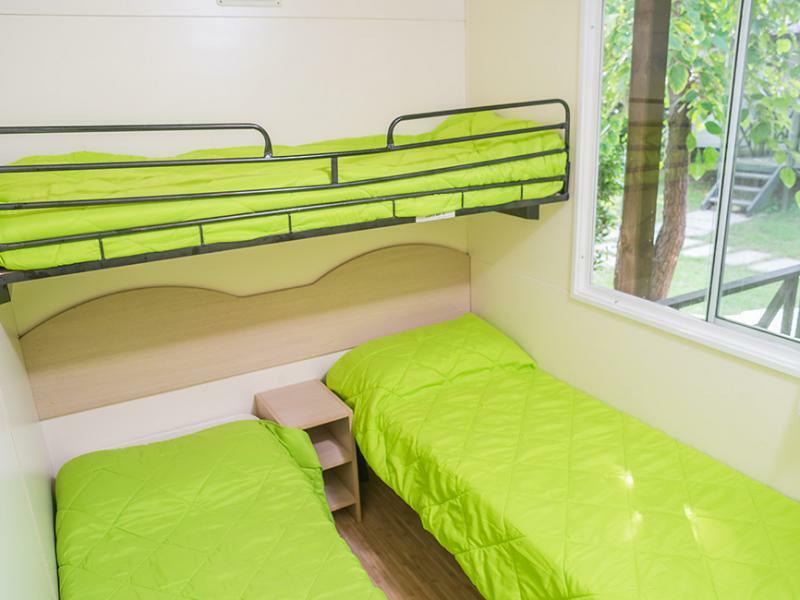 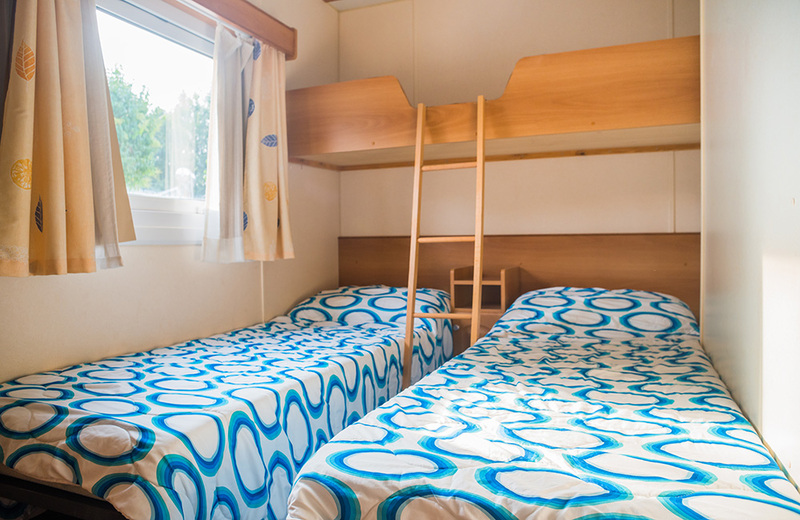 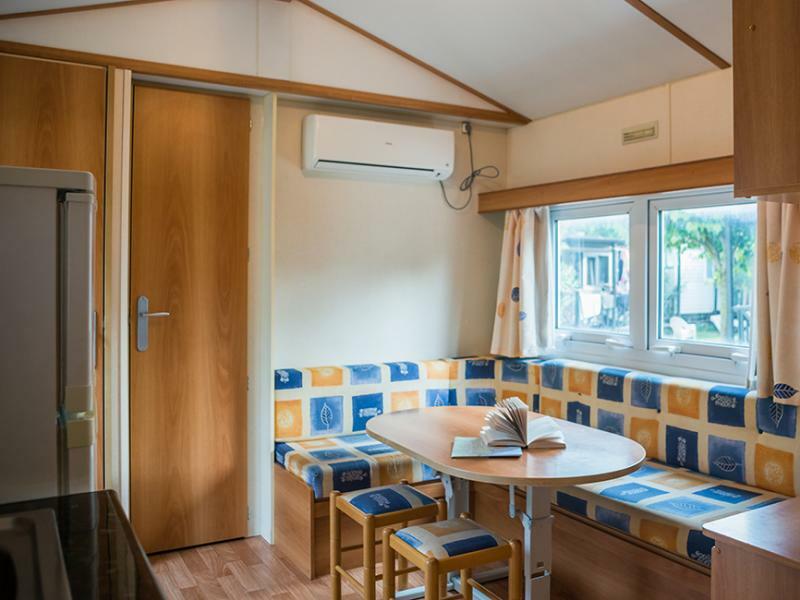 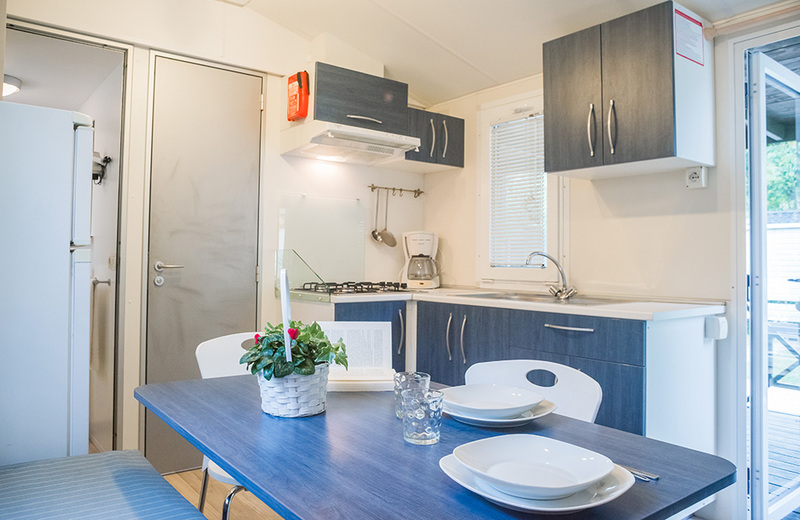 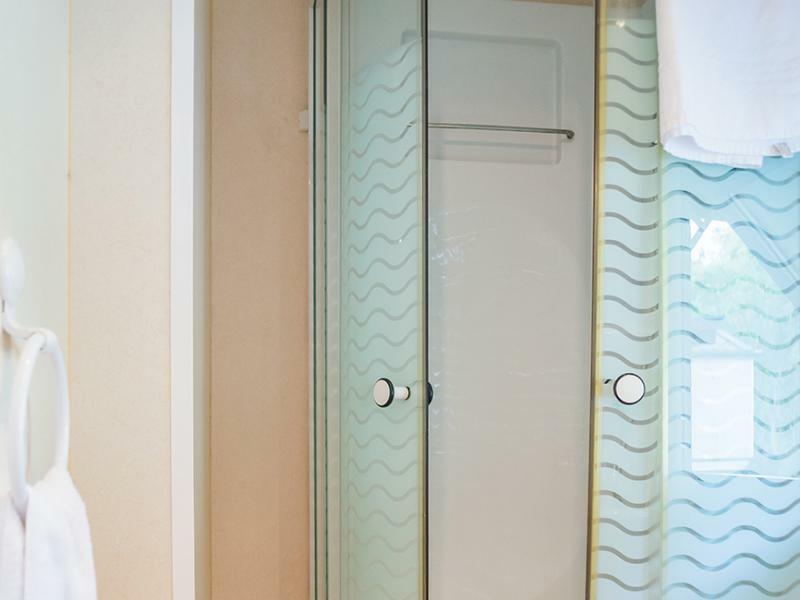 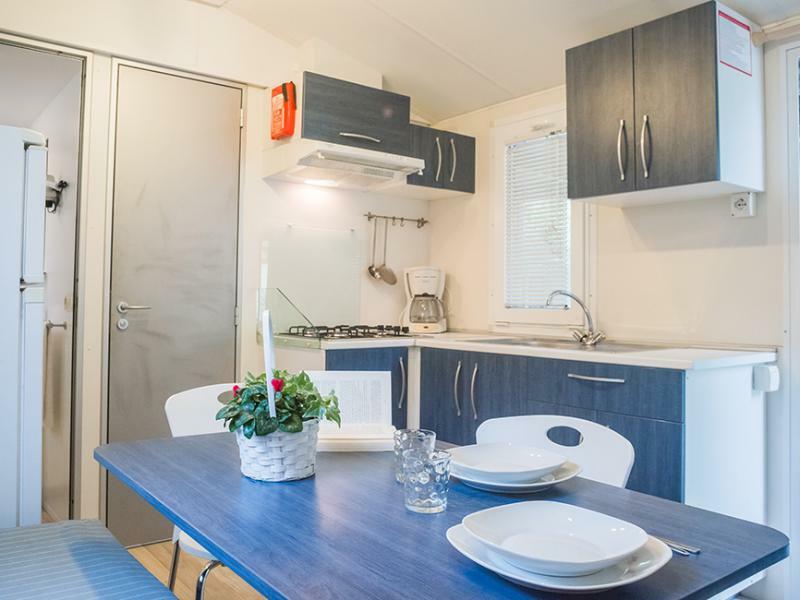 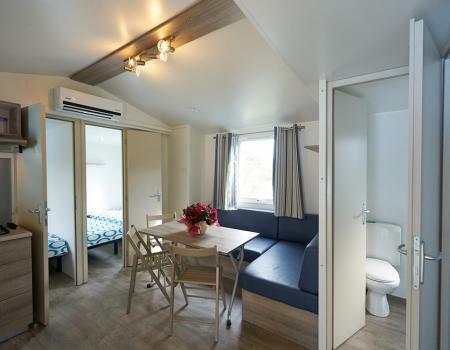 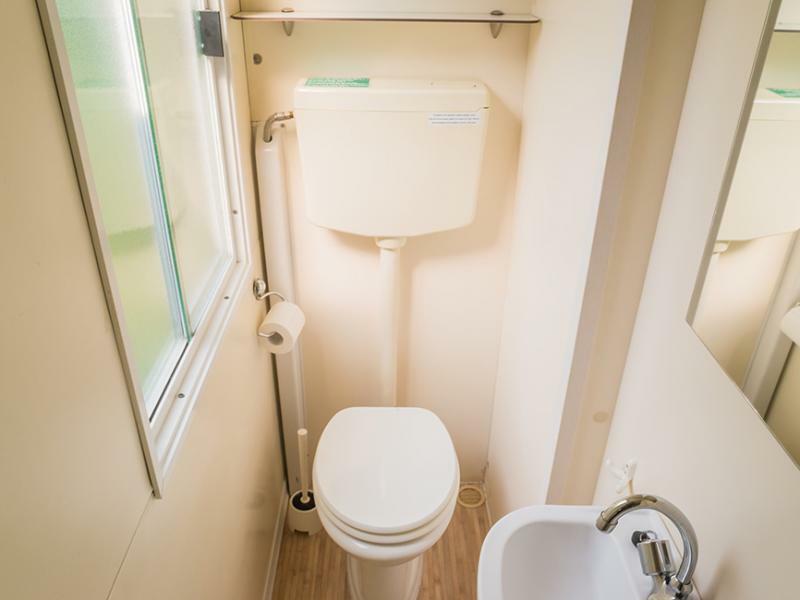 There is a double bedroom and a bedroom with two single beds and a foldaway bed; two private bathroom cabins, one larger with sink, shower, hairdryer and cabinet, the other smaller one with toilet and sink; living room with kitchenette and sofa. 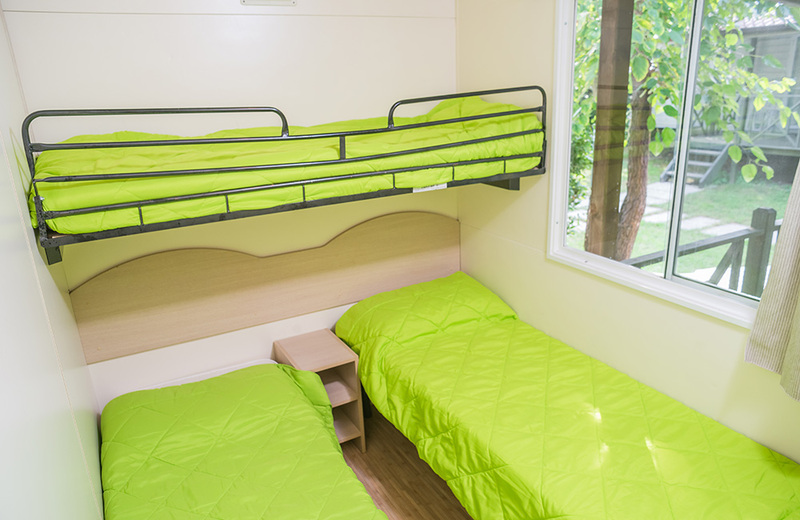 The structure is equipped with air conditioning system. 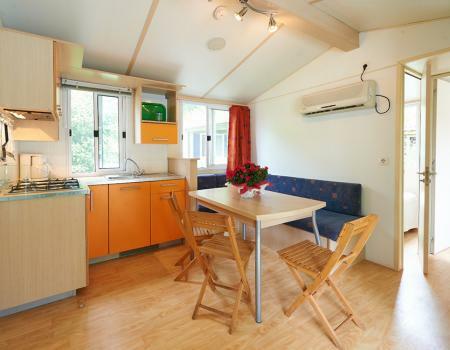 The private parking space completes the offer.